Everyone deserves great health care and that includes the residents of Alaska. Getting the best health insurance in Alaska can be tricky like a shot in the dark if you do not have the necessary information to make good decisions, as there are so many health insurance companies and even more specifics when it comes to health insurance plans. Luckily, American Insurance specializes in assisting Alaska residents in finding the best plan for their set of circumstances. You can find individual health insurance or family health insurance in Alaska. One great resource for Health Insurance Alaska Plans is Alaska State Health Care Services. 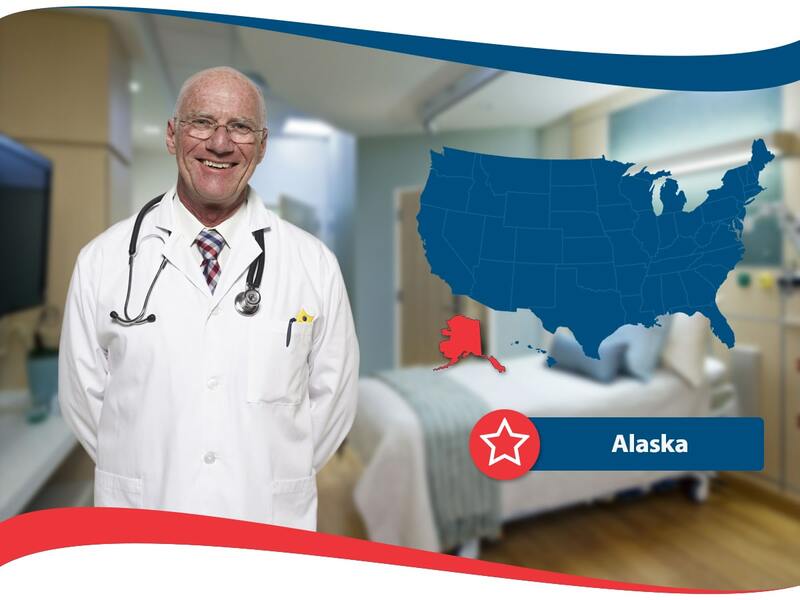 This service provides information for the residents of Alaska about everything to do with health care including children health care, cancer screenings and a question and answer section. Additionally the Alaska State Health Care Services has information and contact details for the Alaska Health and Social Services. Luckily if you are a resident of Alaska, your state is adequately funded in the public health sector. There are public health plans life CHIP and Medicaid. And many residents of the state are offered health insurance through their job. There is also the option to purchase health insurance in the private marketplace. It is important to compare and contrast health insurance plans prior to signing for any specific plan. By doing this, you will be able to find the most affordable health insurance plan in the state of Alaska that also includes your specific needs. Your premium amount can be determined by how healthy you are. Some plans offer riders for specific health issues. In the state of Alaska you will always be able to renew your health insurance plan and your coverage will not be taken from you as long as you continue to pay your premiums. Medicaid gives access to health care and long-term health services to people in need. These people must meet income requirements and other requirements to receive care. Medicaid assists pregnant women, children, and the elderly if they are below the poverty line and cannot afford health care. It covers an array of health services including dental, eye care, hearing, family planning, hospice, outpatient and inpatient hospital care, x-ray, mental health, prescription drugs, transportation, maternity, and well-child visits. There are many options available to the residents of Alaska. You can contact American Insurance for more information on how to obtain the right plan for your needs. Questions can be answered accurately from the customer service professionals in a timely manner. There are also health insurance plans for groups as companies in Alaska with twenty or more employees can offer health insurance and must offer a continuation if they decide to insure their worker bees.